Well, I’m going to have to give the Habano a shot now. 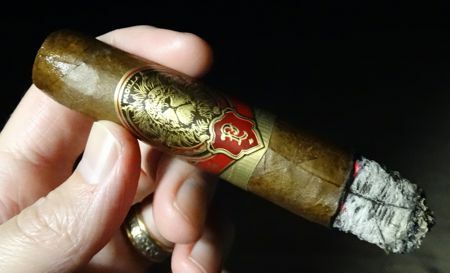 I’ve had and enjoyed the Maduro, but that’s the only one of the current lines that I’ve smoked. I really like the touch of mint (or eucalyptus or whatever it was) in the Habano. I smoked it before I did any research on the blend, so I thought it might have a Cameroon binder, like the Partagas Benji Master. It doesn’t, but I love the aromatics anyway. Let me know what you think when you get around to it! Will do. 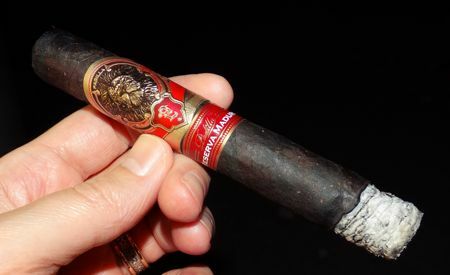 Did you get the impression that the Maduro is more like an “old time” Maduro, with less sweetness and more earthiness and leather than the modern ones? That’s kind of what I remember, but of course, my old age could be playing tricks with my memory. That was the impression I got as well. That style of maduro always reminds me of my old baseball mitt, carefully stored away in my Grandpa’s shed on the farm when I was a kid. It’s a little bit mitt, and a little bit shed. Leather and must and all that good stuff. LOL, I came back from my first year of college only to find that my dad had given away all of my baseball stuff (including two gloves and a Stan Musial signed baseball), card collection (MLB and NFL/AFL, some from the sixties, as well as War of the Worlds and WWII series), and slot cars. Was I pissed off? Uh, yeah. All these years later, it makes no difference, but man, it was aggravating. Haha! Good thing I didn’t have a cigar collection at the time.